The Toufayan family’s passion for baking with quality and care continues three generations after it first began. So when our customers ask for products that fit their specific dietary needs, we bake them. We provide solutions that allow everyone to enjoy our breads and we are always adding more to our product line. So check back often to see what’s cooking at Toufayan Bakeries. 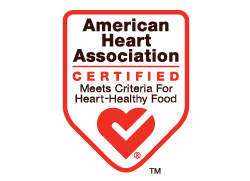 The Heart-Check mark makes it easy to spot heart-healthy foods in the grocery store. Simply look for the name of the American Heart Association® along with the familiar red heart with a white check mark on the package. Not all red hearts you see are from the American Heart Association®; look for the name to be sure. Toufayan Bakeries is proud to have this seal on our products. *Heart-Check certification does not apply to information reached through links. A gluten-free diet is a diet that excludes the protein gluten and is primarily used to treat celiac disease. Products carrying the GF logo represents unmatched reliability and for meeting strict gluten-free standards. 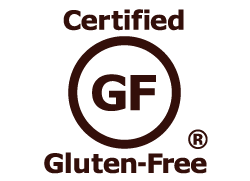 Toufayan Bakeries is proud to carry this seal on our gluten-free products. 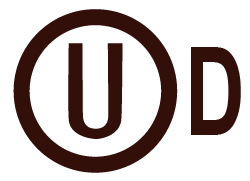 Milkhik from Yiddish מילכיק for milky or dairy, and also kosher dairy is a Kashrut (or kosher) classification for milk and milk products from a kosher animal. A product that contains even a trace amount of dairy is still considered dairy. Food in this category includes all milk, butter, yogurts and all hard, soft and cream cheeses that are kosher and dairy, containing no meat ingredients and having been produced and processed on kosher equipment. 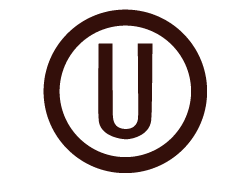 Pareve from Yiddish פאַרעוו for “neutral”, in Hebrew פרווה, and also parve) is a Kashrut (or kosher) classification for edible substances that contain neither dairy nor meat ingredients. Food in this category includes all items that are grown from the ground (fruits, vegetables, grains, etc.). 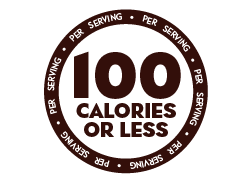 Low calorie diets restrict carbohydrate consumption to 800-1,500 calories a day. Toufayan Bakeries offers a delicious selection of low calorie products to fit your healthy lifestyle. 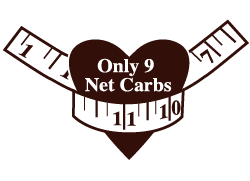 Low-carbohydrate diets are dietary programs that restrict carbohydrate consumption, often for the treatment of obesity or diabetes. Toufayan Bakeries offers a selection of delicious low carb products to fit your healthy lifestyle. Sodium (salt), has long been linked to high blood pressure. And high blood pressure, or hypertension, which afflicts nearly one in three Americans, is a leading cause of cardiovascular disease. 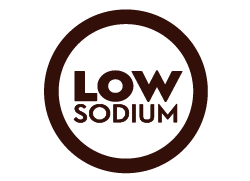 So we baked up some delicious low sodium options for you to enjoy. Salt, has long been linked to high blood pressure. And high blood pressure, or hypertension, which afflicts nearly one in three Americans, is a leading cause of cardiovascular disease. 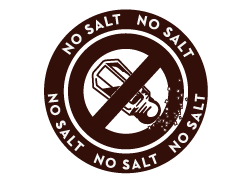 So we baked up some delicious no salt options for you to enjoy. 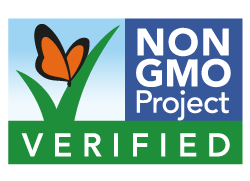 Products bearing this seal have been certified by the Non-GMO project. 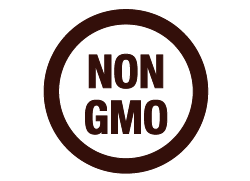 The Non-GMO Project is a non-profit organization committed to preserving and building the non-GMO food supply, educating consumers, and providing verified non-GMO choices. GMOs (genetically modified organisms) are living organisms whose genetic material has been artificially manipulated in a laboratory through genetic engineering and are usually made to resist herbicide application. GMOs have been connected with health problems and environmental damage. Toufayan Bakeries is proud to carry products with this seal. Veganism is the practice of abstaining from the use of animal products, particularly in diet. A follower of veganism is known as a vegan. 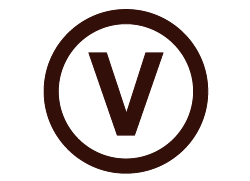 Dietary vegans (or strict vegetarians) refrain from consuming animal products, not only meat but, also eggs, dairy products and other animal-derived substances. Toufayan products carrying this seal strictly adhere to these values.